We’re now living in a world of perpetual Star Wars. There may never be a time again when there is not, at least, one movie in the franchise at some point in the production process. Right now Star Wars: Rogue One is going through post production, while Star Wars: Episode VIII is filming. Everything seems to be moving along like a well-oiled machine. Well, except for one minor detail. Nobody has given Andy Serkis a script. I don't know anything.... I'm due to be filming and I haven't even seen the script yet. While the man behind Gollum is set to join the cast for filming shortly, he has no idea what he’ll be doing since he hasn’t yet seen the script. This isn’t too surprising since many productions go to extreme lengths these days in order to keep their movies secret. We know that similar measures were taken to protect the secrets of Star Wars: The Force Awakens so it makes sense that they would continue to do so here. If anything, they’ll increase security, as there were legitimate leaks among all the various false flags. If anything, they need to be especially protective of Andy Serkis. While Supreme Leader Snoke isn’t the only character surrounded by mystery, he may be the one we are the most curious about. Even if we don’t get all the answers about him in Star Wars: Episode VIII we expect to get some detail about who he is and what his greater plan for the galaxy is. 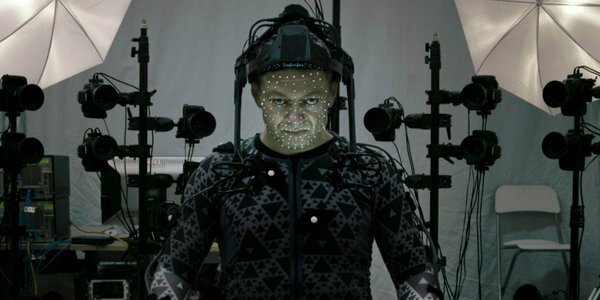 If Andy Serkis doesn’t even know, then he can’t reveal anything, even accidently. We expect he won’t actually see a script until he arrives at Pinewood Studios to start filming, and even then, he likely won’t get all of the script. It’s hard to believe we have nearly two years before we’ll see Star Wars: Episode VIII. With the studio already taking precautions, because people are already looking for answers, it’s going to be difficult for Disney to keep everything under wraps for that long.